A government scheme aimed at encouraging people on low incomes to save will start in January but will not be fully available until October. 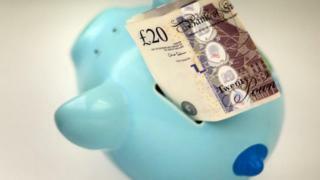 Ministers had originally said the Help to Save accounts would start no later than April. The system, offering a 50% government top-up, will eventually be available to those receiving working tax credits and some on Universal Credit. Over time they can save a total of £2,400 and get bonuses of up to £1,200. The idea is to encourage people to be prepared for financial shocks, such as a broken boiler or car. The scheme will start in January on a trial basis before being introduced in stages over the following 10 months. Eventually, 3.5 million people should be eligible. Sarah Coles, personal finance analyst at Hargreaves Lansdown, said: "The key to the success of this scheme is likely to hinge on whether the attractive incentive will change people's savings habits at a time when incomes are squeezed, inflation is biting and the target group are pretty much living hand to mouth as it is." A report earlier this year by the Centre on Household Assets and Savings Management (CHASM) suggested that the government should concentrate on providing savings incentives to the poorest. The think tank, part of the University of Birmingham, said that 60% of lower and middle income families could not save. That left them at risk of financial shocks and spiralling debt, it said. It recommended that the government invest more in the Help to Save scheme by reducing some of the tax breaks offered to those who can save more in Individual Savings Accounts (Isas).